A Columbia Basin Trust investment of $300,000 in training support for early childhood educators is being applauded by Selkirk College. As part of a $3.6 million three-year Child Care Support Program to help maintain and create new child care spaces in the Columbia Basin, the Trust is committed to help fill workforce gaps and meet professional development needs through its Early Childhood Educator Workforce Development Fund. “It is tremendous that Columbia Basin Trust has launched the Early Childhood Educator (ECE) Workforce Development Fund that aims to address the demand in our communities for more child care spaces along with more staff and more training for existing staff,” says Selkirk College’s Early Childhood Care & Education Program Instructor Taya Whitehead. Eligible licensed child care providers can now apply for up to $5,000 in funding to support their staff to upgrade, transfer or maintain needed ECE credentialing. The ECE Workforce Development Fund will distribute $100,000 annually for three years. The Child Care Support Program will help sustain and grow quality licensed child care in the Basin. Already, capital grants are funding projects including the purchase of child care equipment, upgrades and renovations to existing licensed child care facilities and construction of new licensed spaces. “The child care sector has several complex issues, including affordability of child care for families, inadequate supply of child care spaces and a shortage of qualified professional staff to work in the sector. We are helping to address those issues with this new program,” says Columbia Basin Trust President and CEO Johnny Strilaeff. Selkirk College’s Early Childhood Care & Education Program prepares students for rewarding careers working with young children and their families. Students learn how to create programs and environments that are child-centered, nurturing and rich for supporting child development. “When we have a healthy child care system, we have healthy and prosperous communities,” says Whitehead. 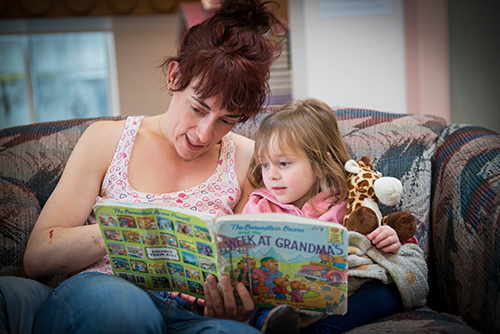 All of Selkirk College’s Early Childhood Care & Education Program courses can be completed while studying full-time, part-time or in a mixed format with online and face-to-face delivery. Students can start in a new career or upgrade their education. Selkirk College also offers multiple options for students who wish to pursue further studies in Early Childhood Care & Education – including the Infant and Toddler and Supported Child Development specialties. Graduates can continue their training towards a bachelor’s degree at a number of institutions in British Columbia. The Trust identified early childhood and child development as one of 13 strategic priorities following an extensive public consultation in 2014/15. Applications for the ECE Workforce Development Fund are accepted on a first come-received, first-served basis. 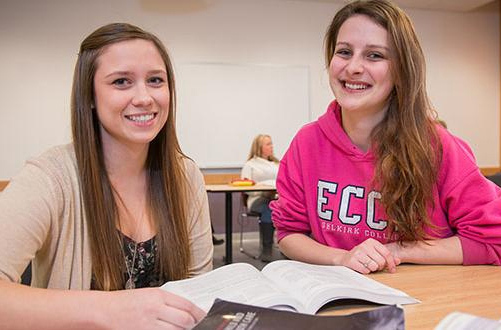 Learn more about Early Childhood Care & Education at Selkirk College and follow us on Facebook.